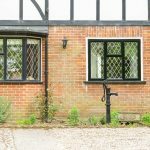 Choosing and designing your kitchen to your own taste and requirements can be one of the best things about refurbishing your home. However, it can also be one of the most costly, disruptive and time-consuming. 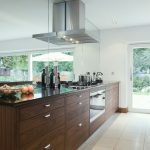 When you first start thinking about your new kitchen design, it can be very tempting to rush into a showroom and pick one out, however it’s vital that you take the time to consider what it is you really want and need – a kitchen is a big investment so you need to be happy with it for a long time. First, have a good clear-out and make sure that you’re not factoring unnecessary items into the new kitchen or products you have in your current kitchen but don’t use. This could be anything ranging from how much storage there is and where it is to the types of appliances and colour of the cabinetry. 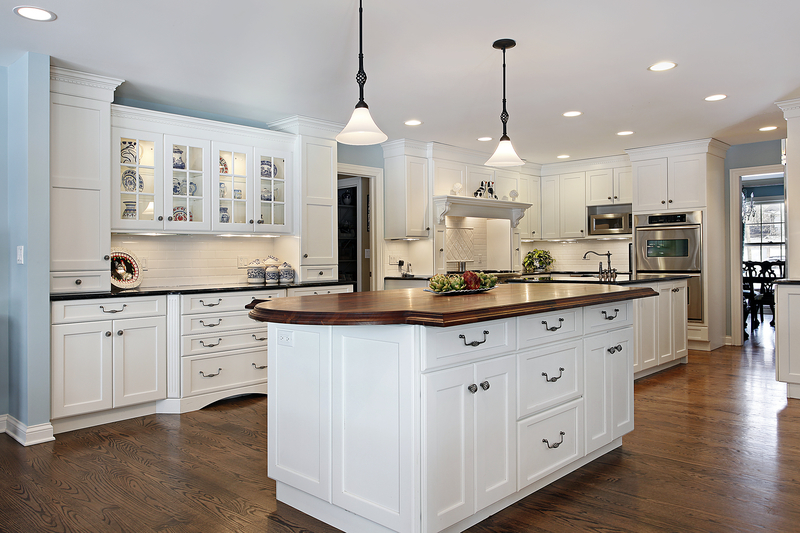 This will help you focus on retaining or updating the particular aspects you would like in your new kitchen. Think about whether the actual room itself needs work – does space need opening up and extending, or do you have the room to do so if you wanted to. When you’re using your current kitchen, think about how you use it – which areas do you use most? What are your most common issues/annoyances? How does the layout work for you? Being aware of how you use it on a daily basis will help you optimise the design of your new kitchen for your day-to-day life. Always be honest with your budget so your designer can help you decide where to save and where to invest your money. Even if you don’t have a large amount of money to spend this will help when choosing designs and cabinets. For example, open shelf storage is a lot cheaper than closed cabinets. It is very easy to get excited when faced with all of the new appliances and designs you could have. So bare this in mind and only purchase things you actually need or know you will use. How you would like your kitchen to look is totally down to you – this may feel like a lot of pressure nearer the time but don’t be overwhelmed, collect images from magazines of colours or themes you like and build your kitchen visually before you decide it’s definitely the design for you – make sure you have your dream kitchen! You can also make note of worktops, materials and accessories that you like and think would look good together. When planning lighting it’s always a good idea to make the system as flexible as you can, therefore, you can control areas of your kitchen individually, zoned lighting is also a very good idea as you can have this in specific spots above cookery and preparation parts. Make your kitchen feel more coordinated by slightly matching finishes – pair your wooden breakfast bar with wooden chairs for example. 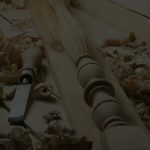 Little extra details like cabinet handles can make a huge difference and can add a little bit of extra character (one of the main things you want to add when designing your own kitchen) rather than buying everything from the same supplier. When it comes to accessories and furnishings why not go out and look for something with a bit more character – some great finds can be found in charity shops or small independent shops. 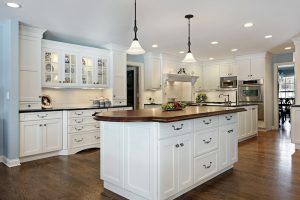 We hope that you found this blog post helpful and inspiring for your simple kitchen design if you need any further help or advice regarding your new kitchen installation, feel free to get in touch to find out how we can help.